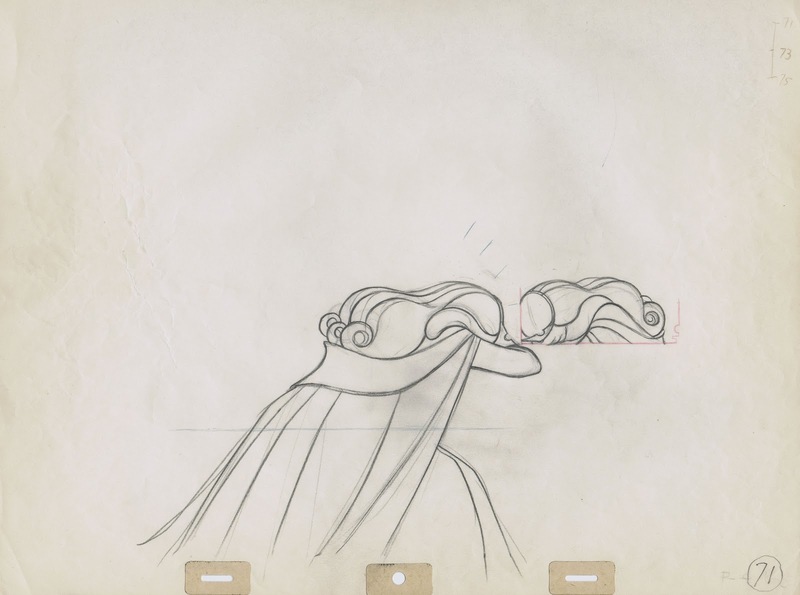 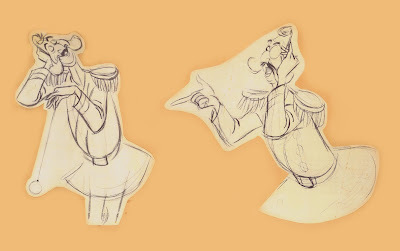 Continuing on with posts about Cinderella, here are some marvelous drawings of the Duke by Milt Kahl. 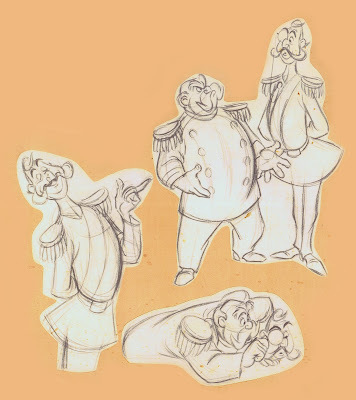 Milt animated this character along with the King during the ball sequence. 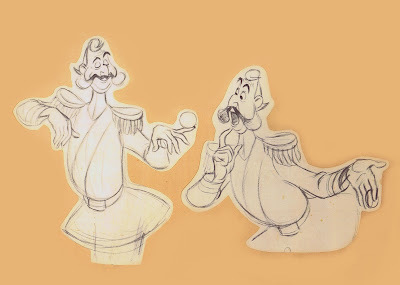 In an earlier part of the film Norm Ferguson and Woolie Reitherman animated the introduction of the Duke and the King. 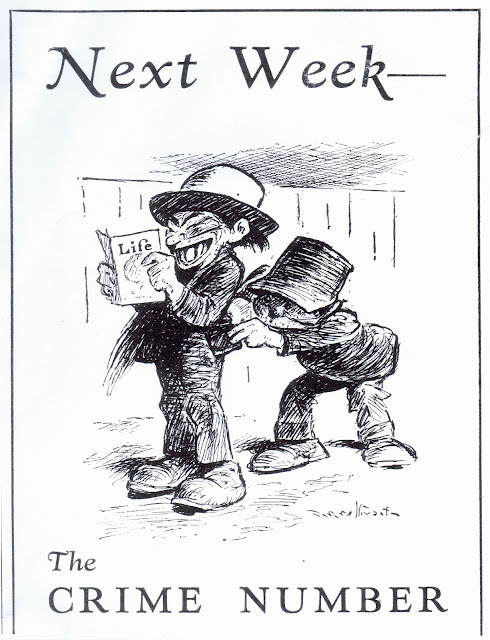 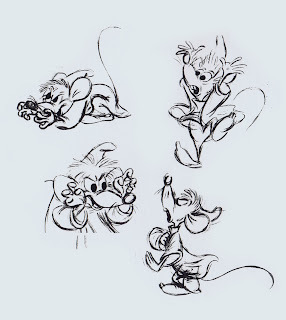 Milt was dissatisfied with the way they were drawn by these two animators, so he redrew the main animation keys for the whole sequence over a couple of weekends. 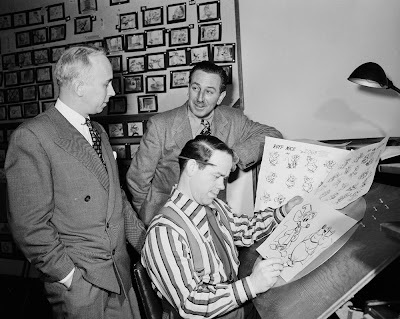 You've got to give it to Milt, he did always put his pencil where his mouth was. 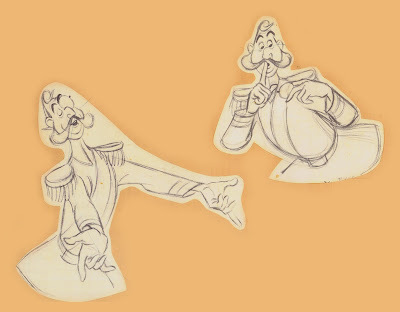 So this guaranteed model consistency, even though the motion still differs quite a bit from how Milt handled his more fluid animation of these characters on the ballroom's balcony. 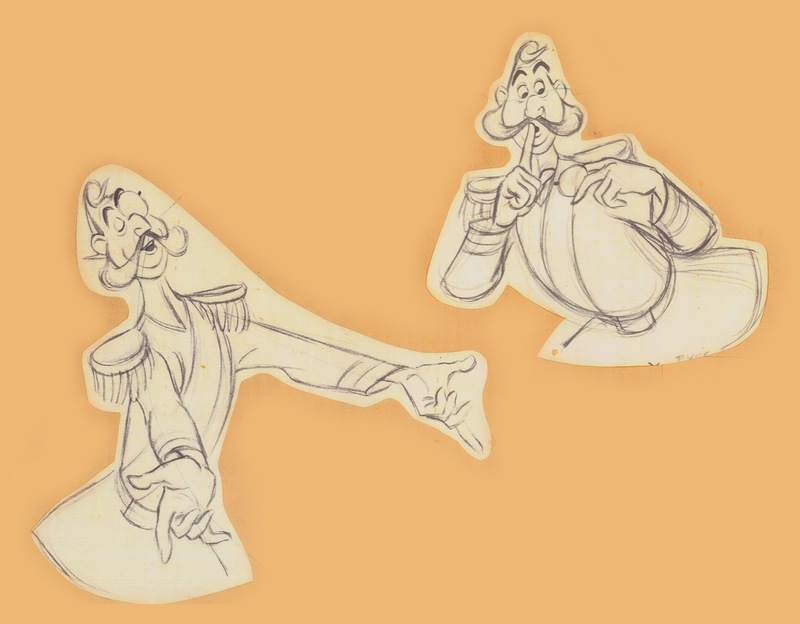 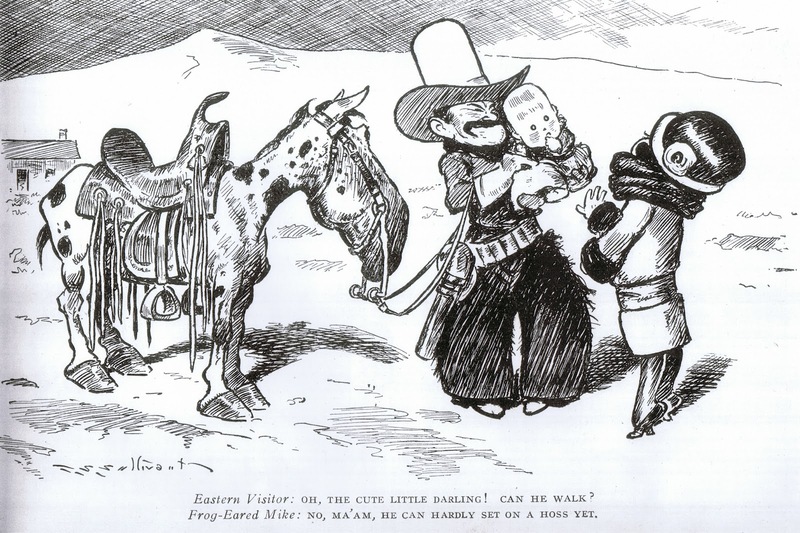 Frank Thomas animated a small section after the ball with the Duke, in which he rehearses his announcement to the King that the "girl" has vanished. 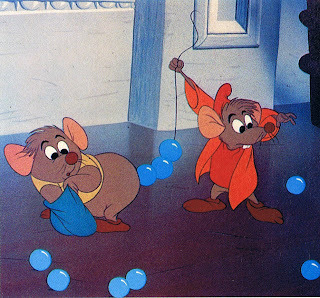 Those scenes are simply brilliantly acted out. 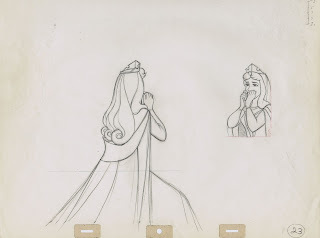 His utter fear and frustration when he can't bring himself to knock on the King's bedroom door, great stuff! 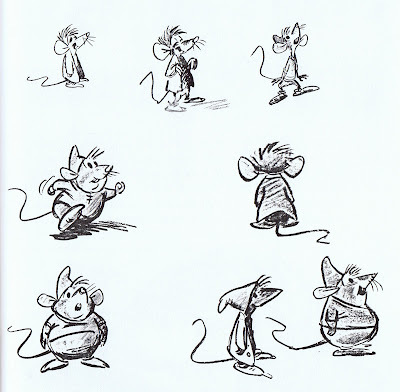 Milt did these model drawings for Frank to explain the graphic components of the character. A straight line for his back to contrast the curved belly. 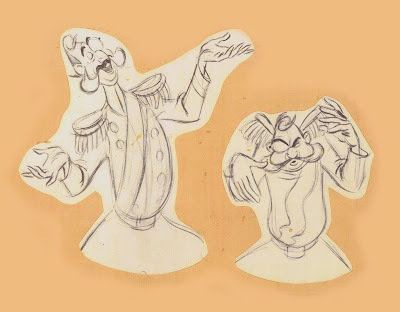 The two head doodles on the right show how the Duke's double chin reacts in certain positions. That's Frank's handwriting on the lower right. 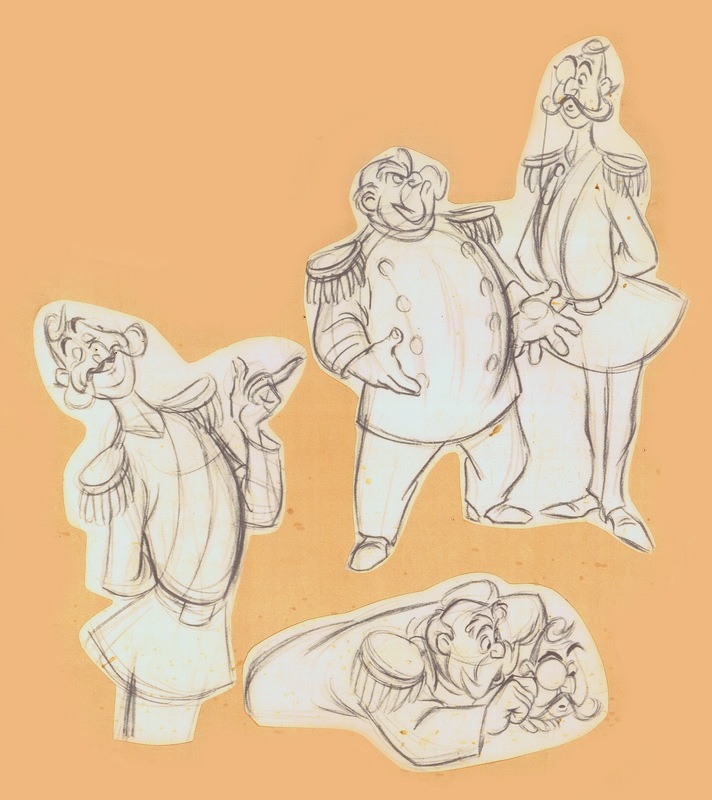 These are copies of some of Milt's actual animation drawings. They show vitality, clarity and…oh yes, insane draughtsmanship. 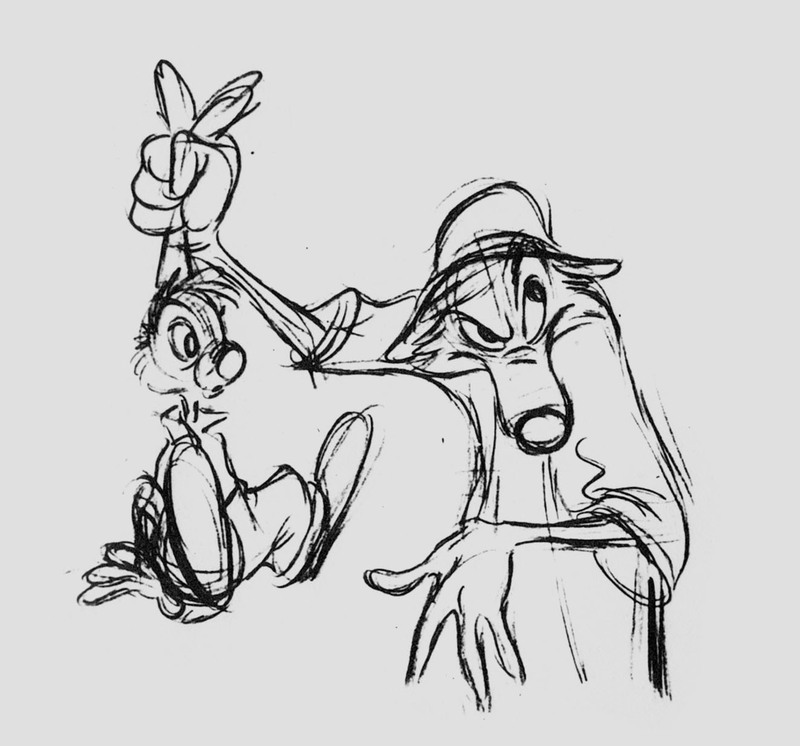 Just look at those hands! Any of these poses is super rich with personality. 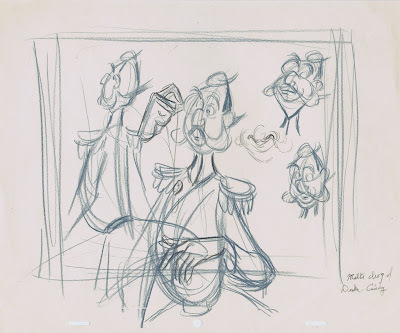 The Duke's scene balancing the monocle on his fingers is one of those Kahl tour de force performances. 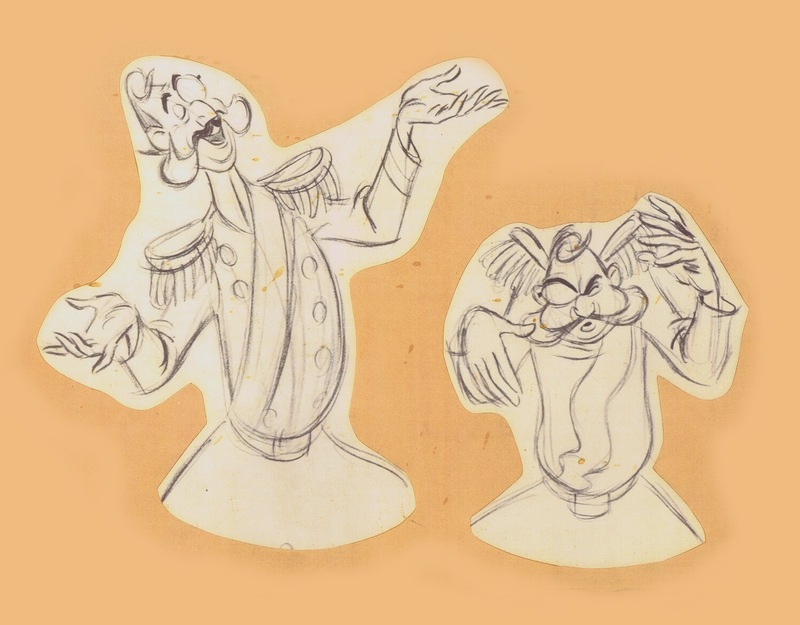 During an interview from the early 1980ies Milt remarked that these two characters lacked depth, and that Walt would probably agree. 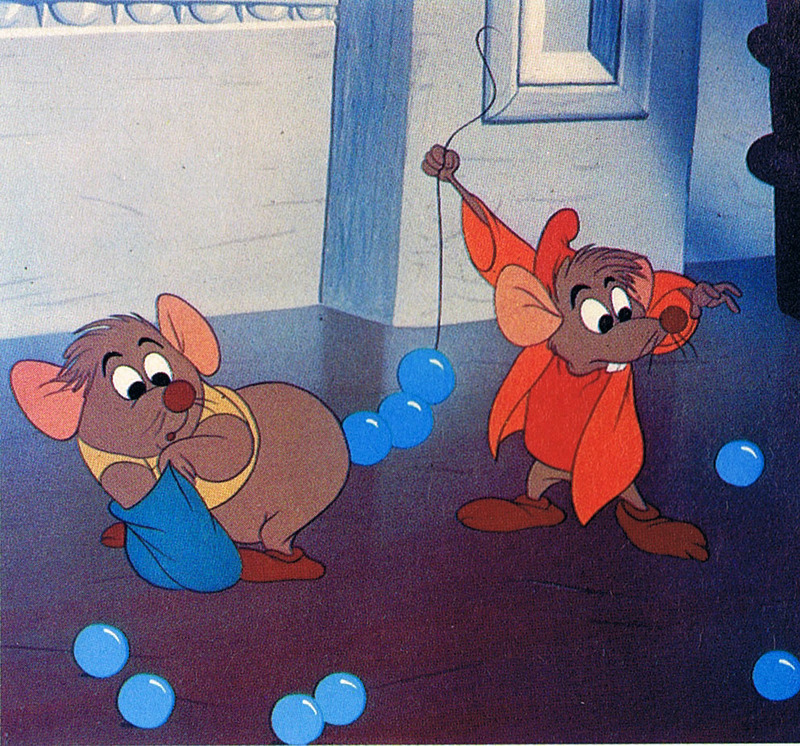 Although he felt that they worked ok enough for supporting the film's storyline. 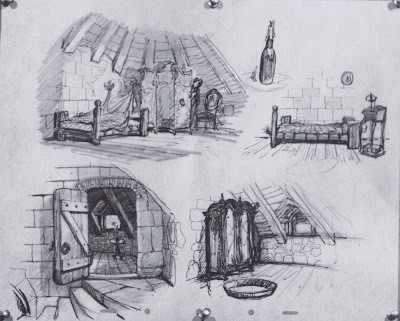 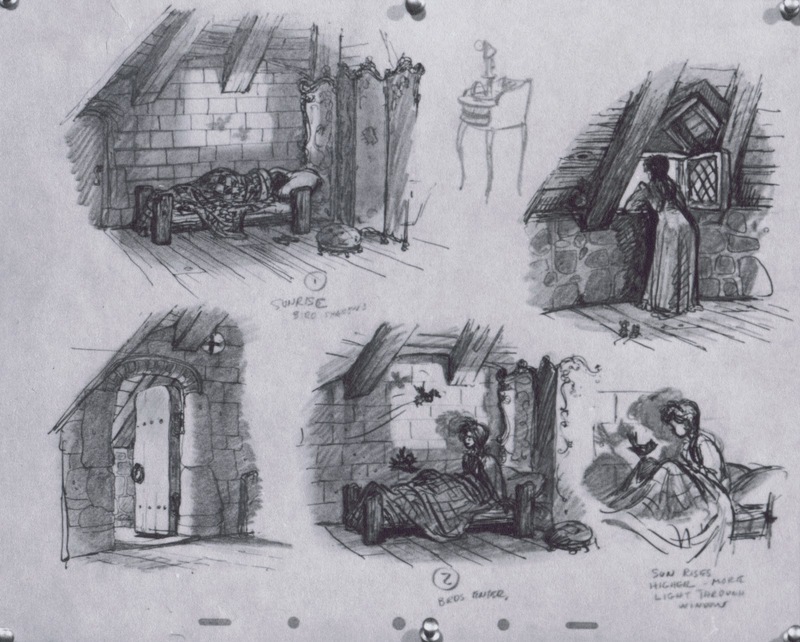 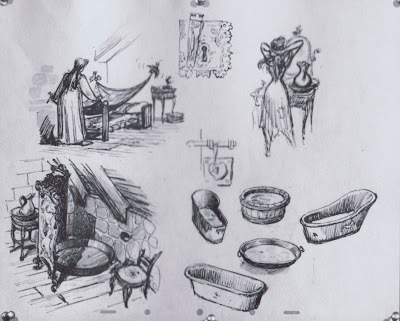 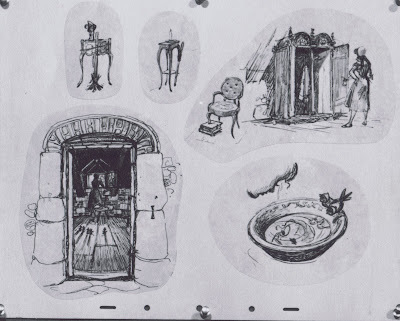 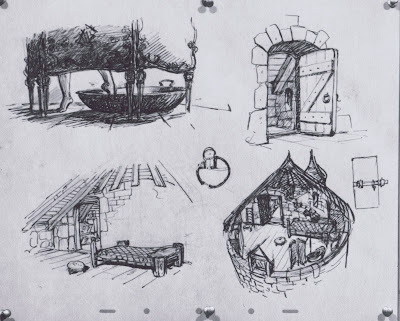 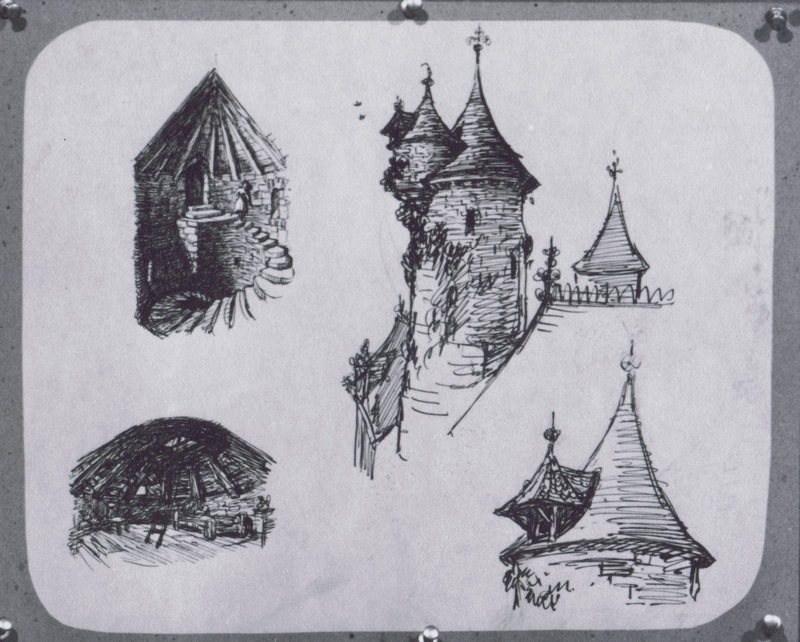 I love these exploratory sketches for Cinderella's living quarters. 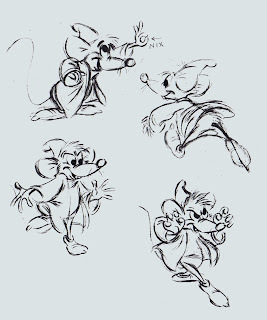 They are modest and hardly comfortable, but there is still warmth and charm in these sketches which reflects the title character's personality. The artist is most likely Ken O'Connor, somebody might correct me on this one. 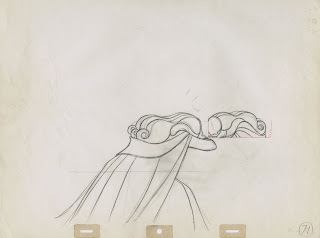 I have always been in awe of talented layout people, who create beautiful worlds for the animators' characters. So looking at these drawings I decided to be a layout artist in my next animated life. 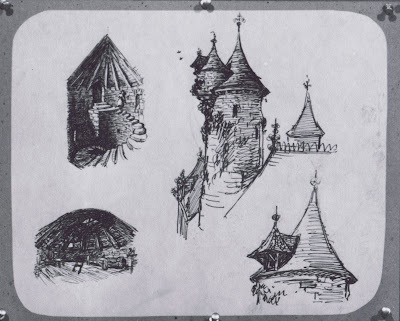 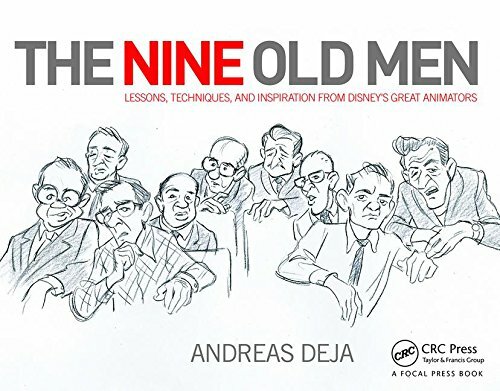 Update: These sketches are by Ken Anderson. 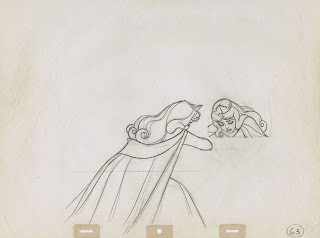 Ken's credit in the film is in story, which led me to believe he didn't do any layout work for Cinderella. 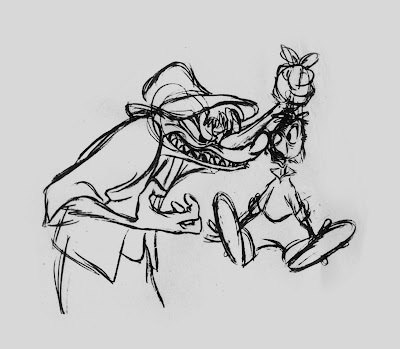 Milt Kahl often pushed the contact between two characters in order to achieve physical believability, but also comedy. 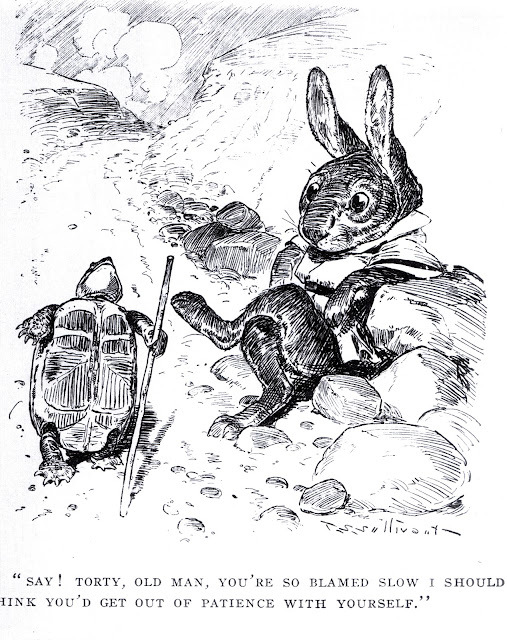 In these animation drawings Maid Marion acts out a romantic encounter with her playmate hero, Skippy. From the moment the characters' faces make contact you see how their facial features react, especially their cheeks, because they are soft. 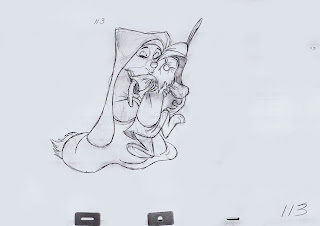 For the final kiss Milt even squashed Maid Marion's muzzle, which is surprising because it is a boney part of a fox's head. 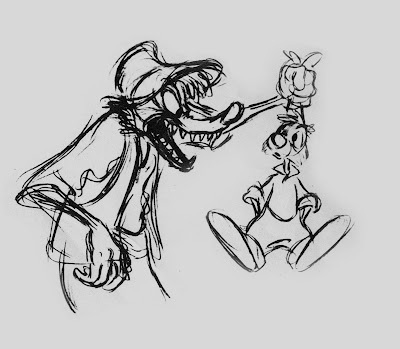 But this makes for a more intense contact, and it looks funny. 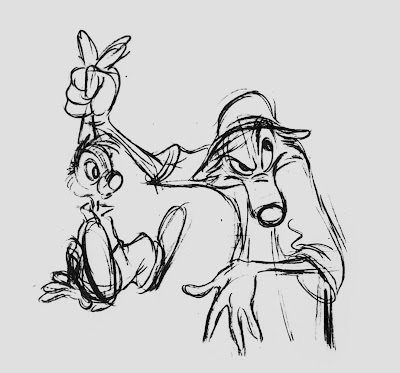 As usual when Milt stages something like this, lines and shapes flow toward the area of interest, like the feather on Skippy's hat, Marion's eye line etc. 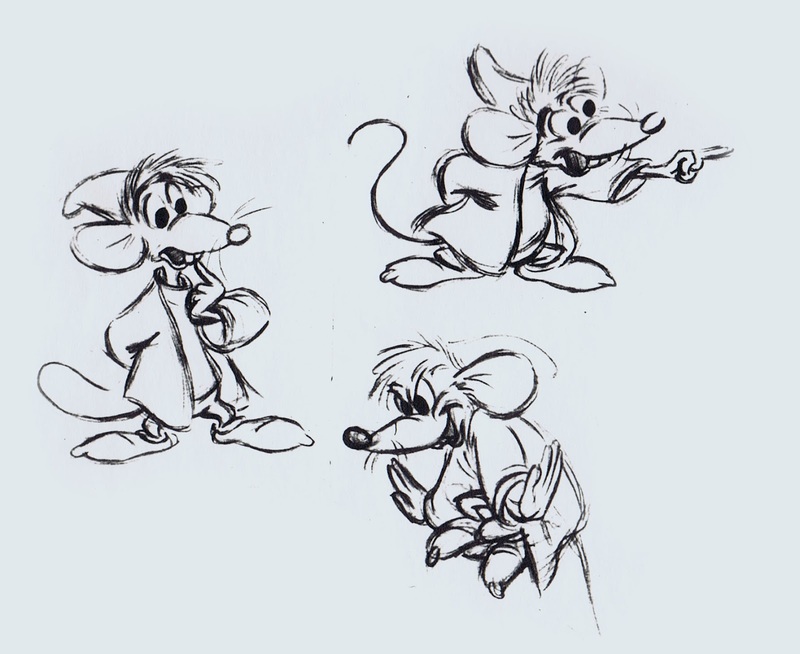 The last pose is pretty exaggerated, but still appealing. 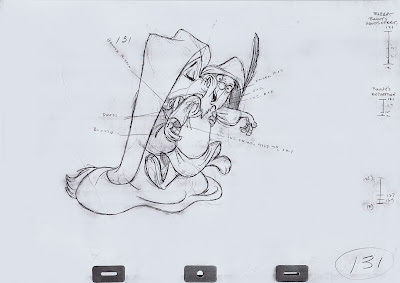 Story artist Burny Mattinson used Milt's pose for a Robin Hood book illustration. 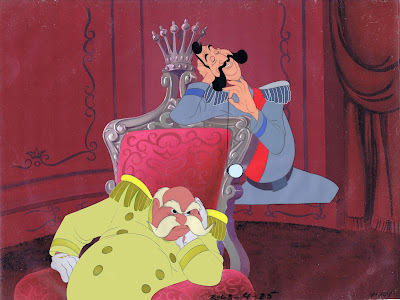 Burny did a number of beautiful Disney story books in the 1960ies and -70ies. 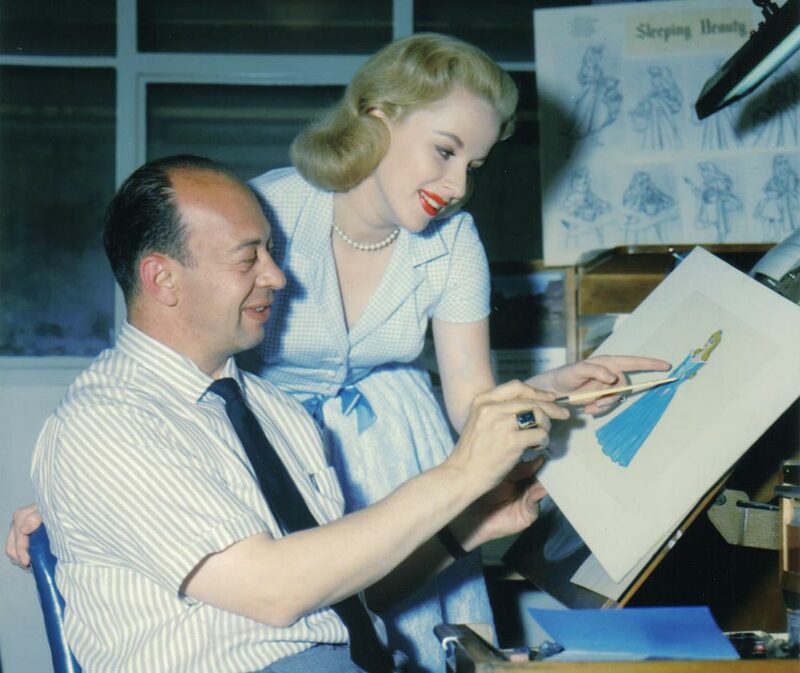 A beautiful photo of animator Marc Davis with Mary Costa, the voice of Sleeping Beauty. Mary was in her early twenties when she auditioned at Disney for the role of Princess Aurora in 1952. 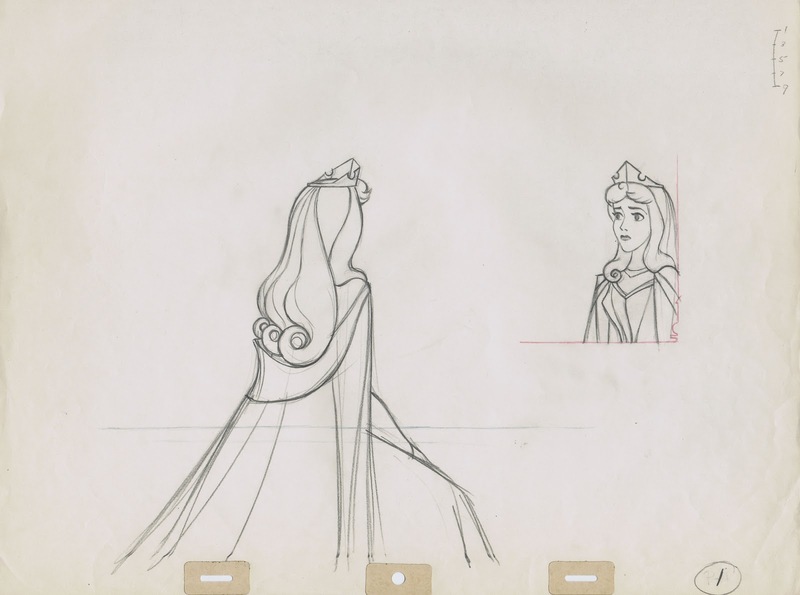 She was asked to return to the studio many more times to record dialogue and songs for the character, Sleeping Beauty was in production for an unprecedented period of seven years. 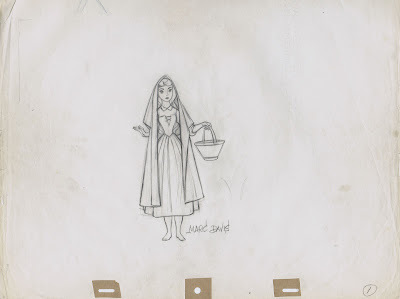 It is interesting to see that Marc Davis started out drawing her as a sixteen year old girl, the age she was supposed to be. 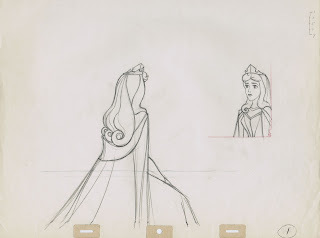 The first image shows a youthful innocent girl with the facial features of a teenager. 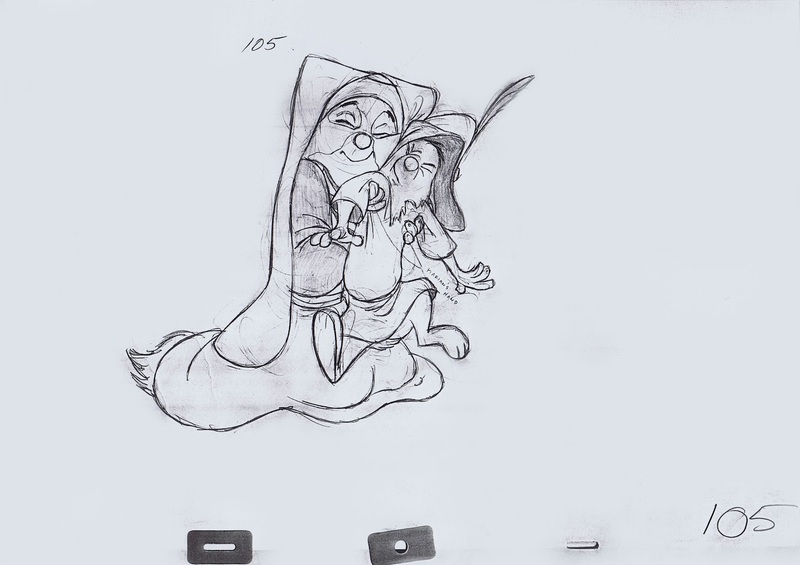 For some reason though the final design ended up looking a bit older, reflecting Mary's actual age. 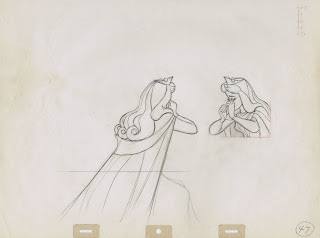 Aurora's proportions show a young adult woman, and her jaw was given more volume. 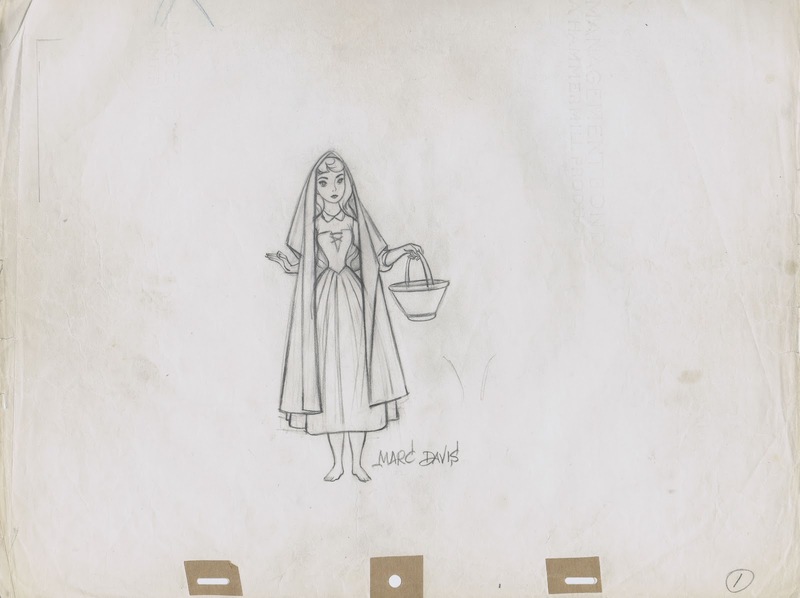 I have a feeling that Walt Disney himself might have had something to say about the look of the title character. 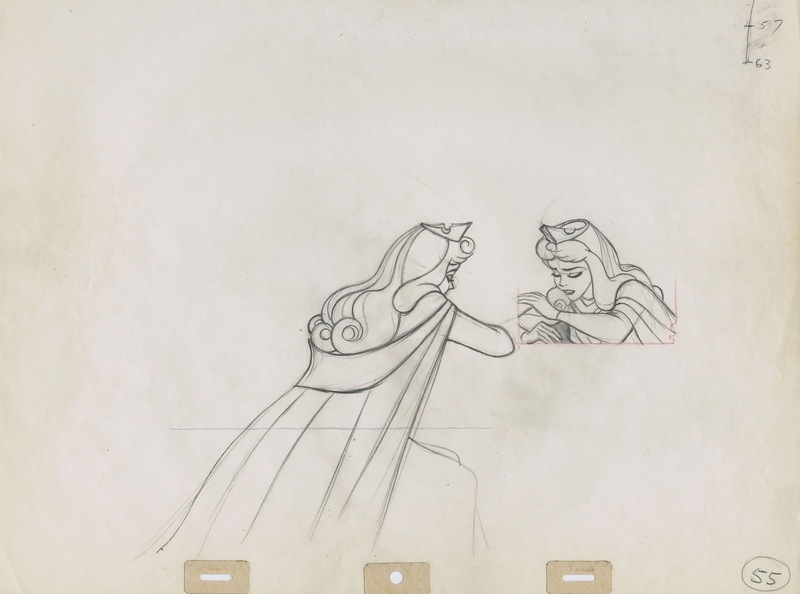 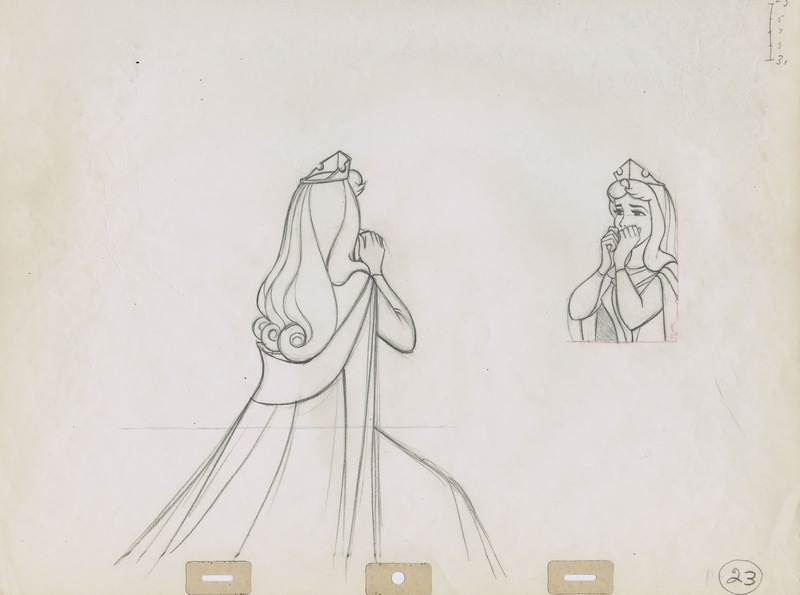 The rough animation drawings by Marc portray Aurora being distraught after being told by the Three Fairies that she has royal duties as a princess. 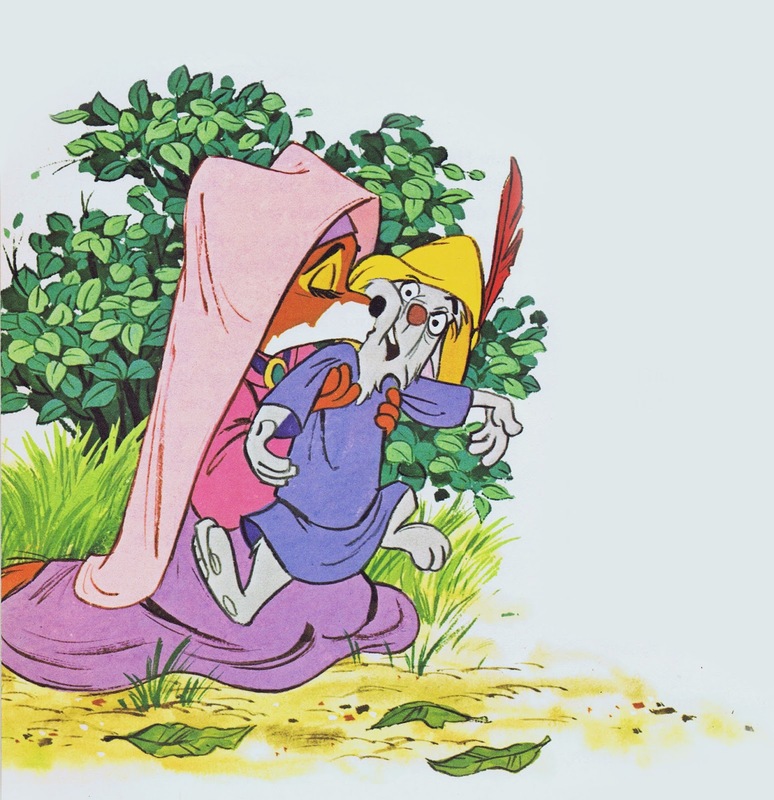 She would never see "that young man" again whom she had met in the forest. 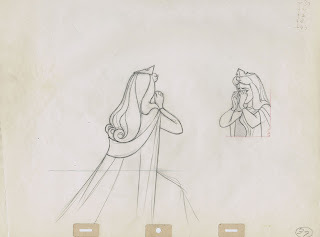 Loosely based on live action reference there is great clarity in the staging of this scene. 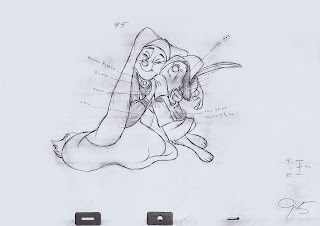 The character styling of this film pronounces vertical and horizontal lines. 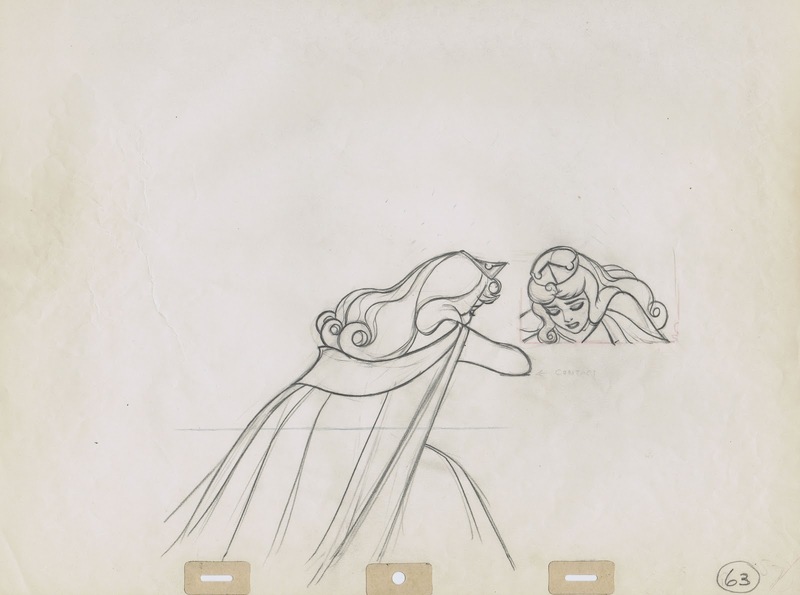 And Marc Davis handled those head turns and angles beautifully. 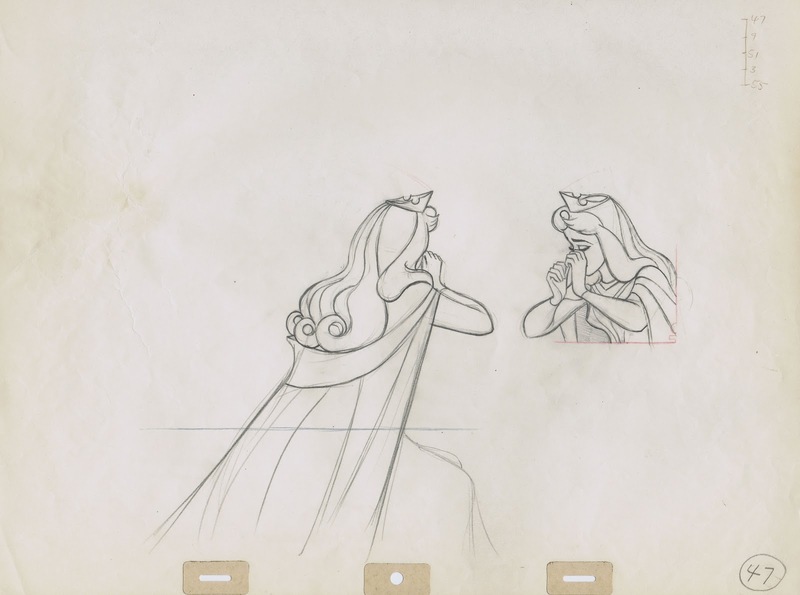 Though not a box office smash in its initial release in 1959, Sleeping Beauty is a Disney film that seems to hold up and look better each year. 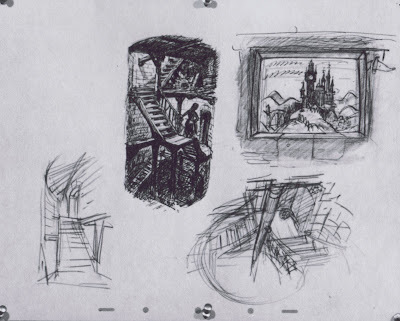 Time again for a good dose of Sullivant inspiration. 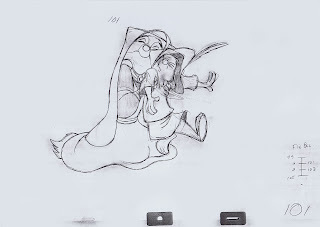 As I said before, I can't get enough of his work. 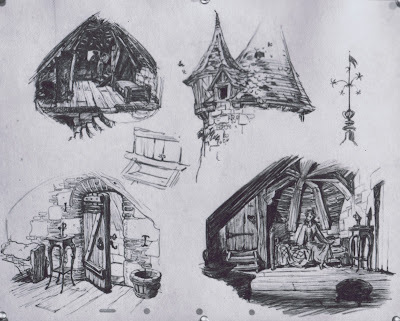 He surprises you with everything he puts on paper. 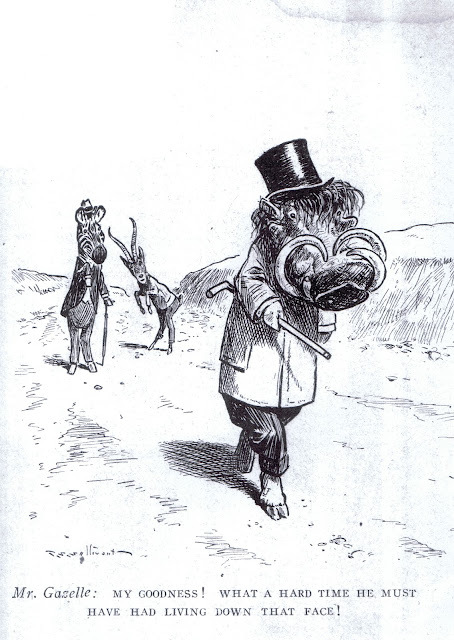 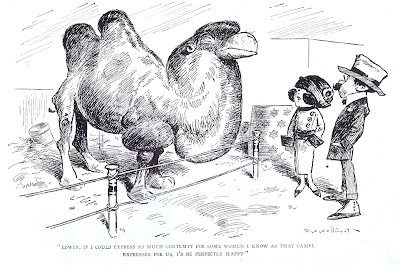 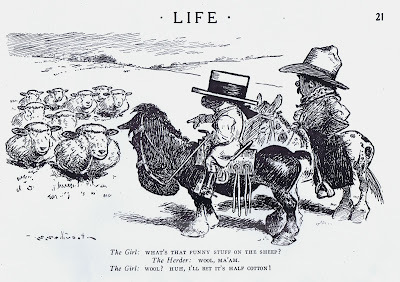 He still stands alone as the master of animal caricature and people as well. 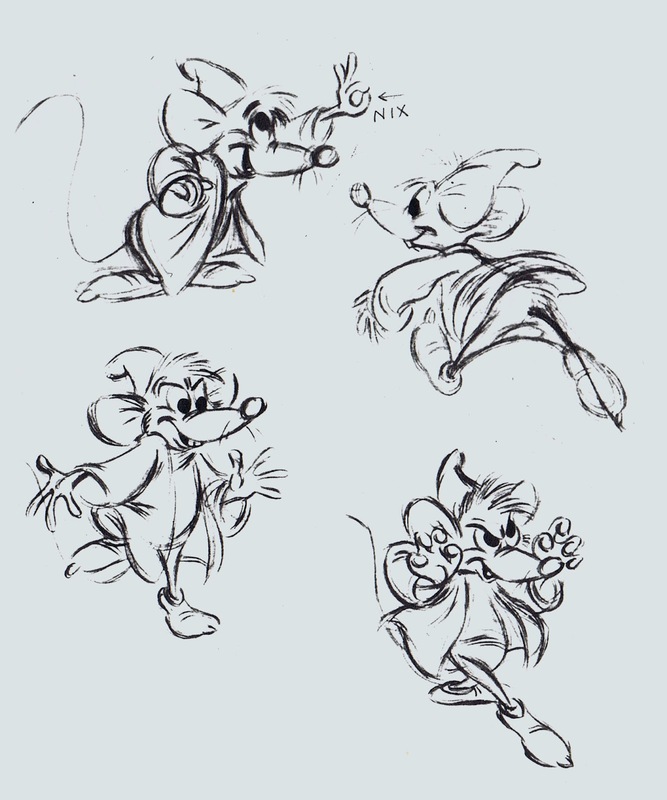 Thoroughly based on realistic observation, Sullivant's stylization and caricature to this day is groundbreaking and unmatched. 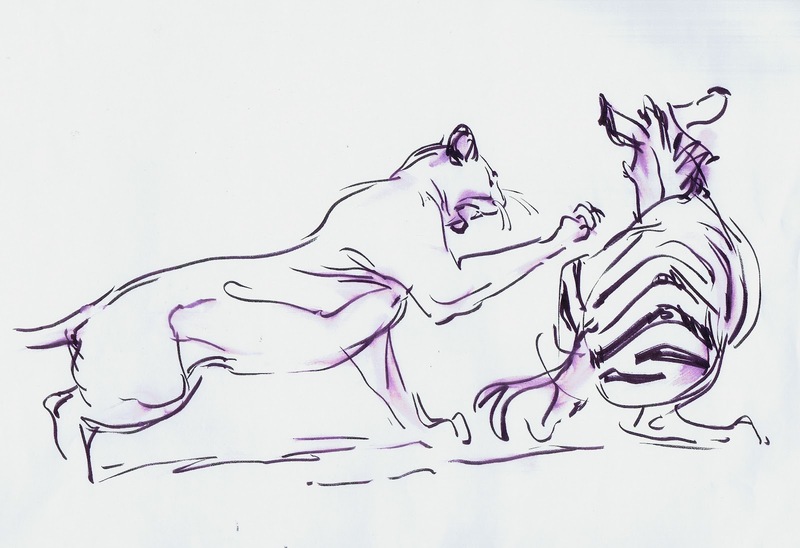 His outrageous sense for proportions is always very animal specific and appealing. 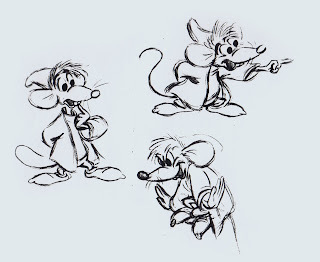 I'd love to see a documentary about this influential American master, wouldn't you? 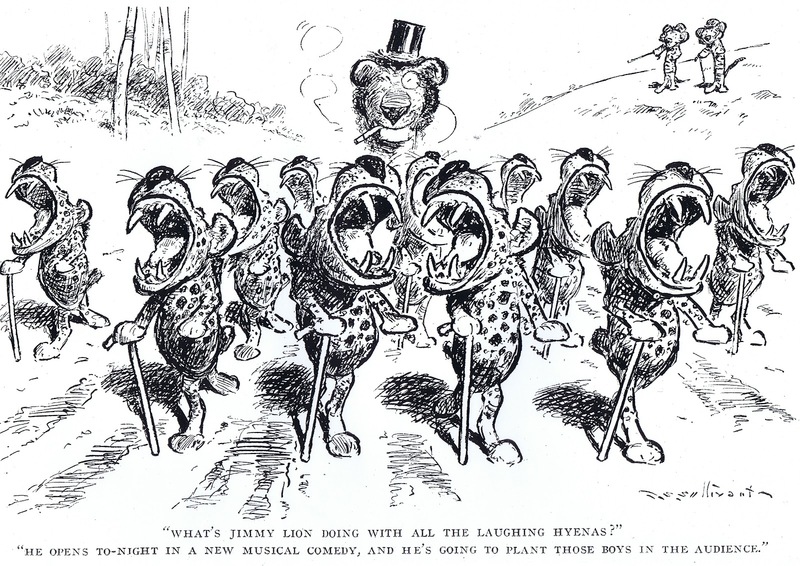 Ken Burns, how about it ? 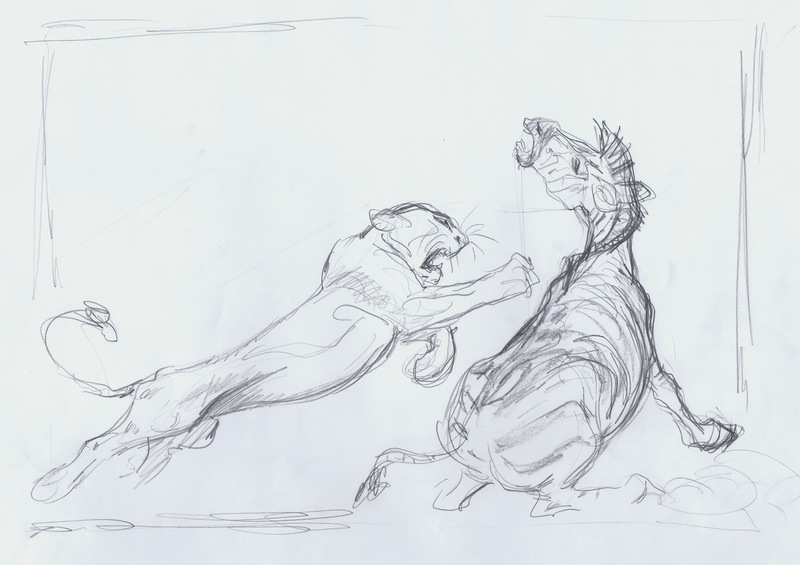 I haven't done many finished wildlife illustrations, but a few years ago I thought I'd try something more polished than just a quick sketch. 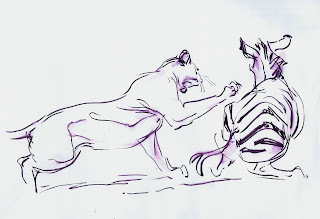 There had been a program on one of the wildlife TV channels about African lions. I made a few drawings off the TV screen, and the one below became the starting point for a larger color illustration. 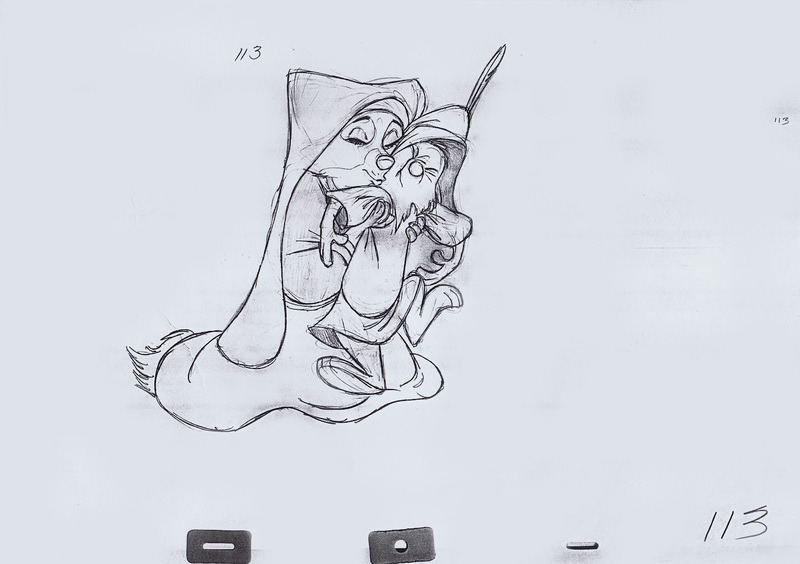 I played around with the staging a little for a more dramatic result (second image). 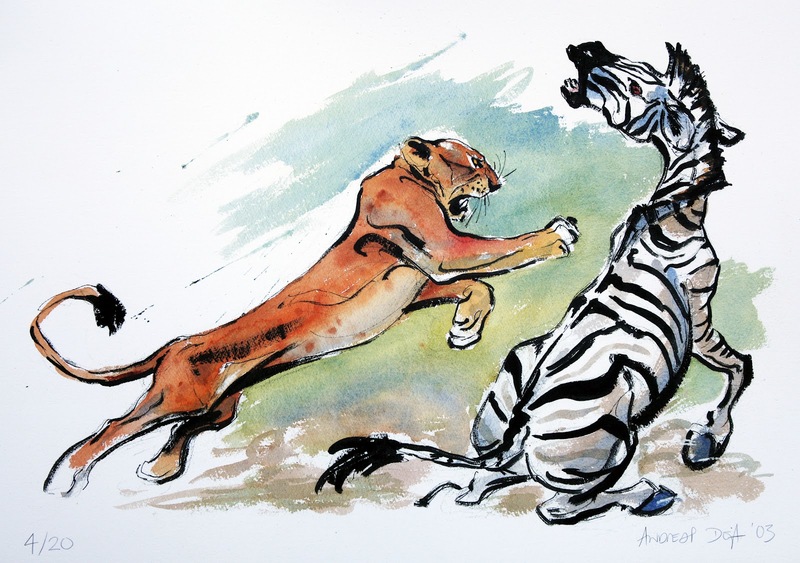 The final piece was fun to do, even though I don't know beans about watercolor. 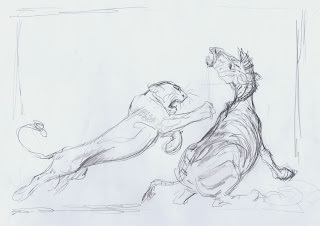 But sometimes it's a good idea not to be intimidated by a technique and just go for it. 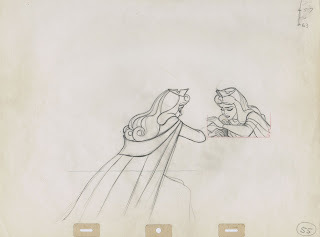 The vitality and power of a good rough sketch becomes magnified when the art is blown up in size. 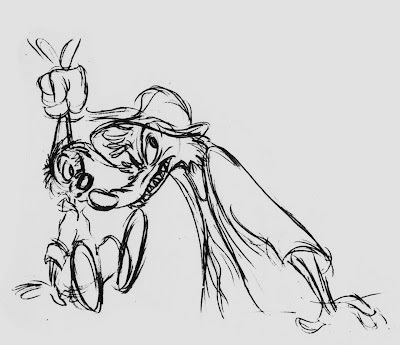 That's certainly the case here with Milt Kahl's animation drawings of Brer Fox threatening Brer Rabbit. 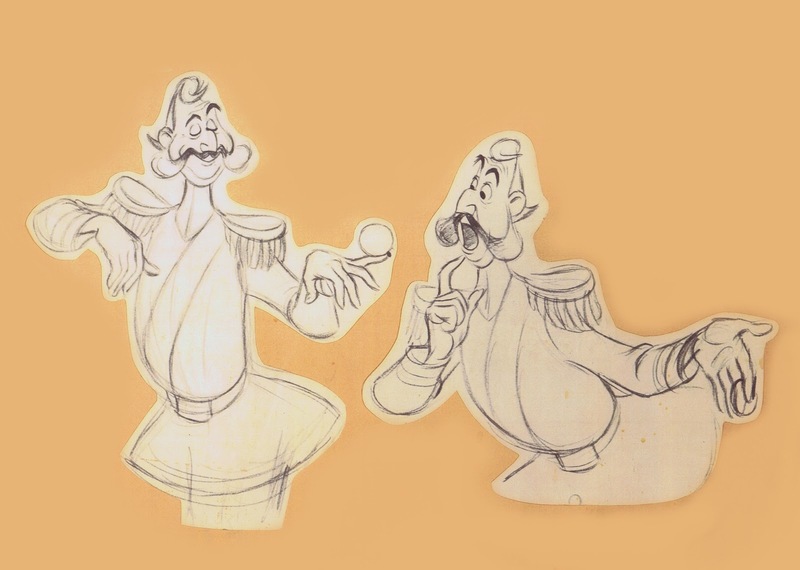 The images are scanned off small old model sheets. 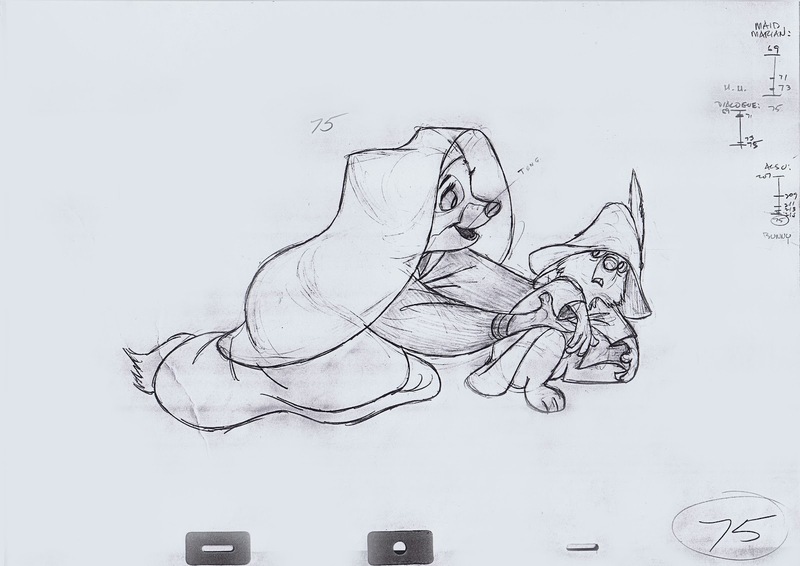 These larger sizes make you appreciate these fantastic roughs even more. 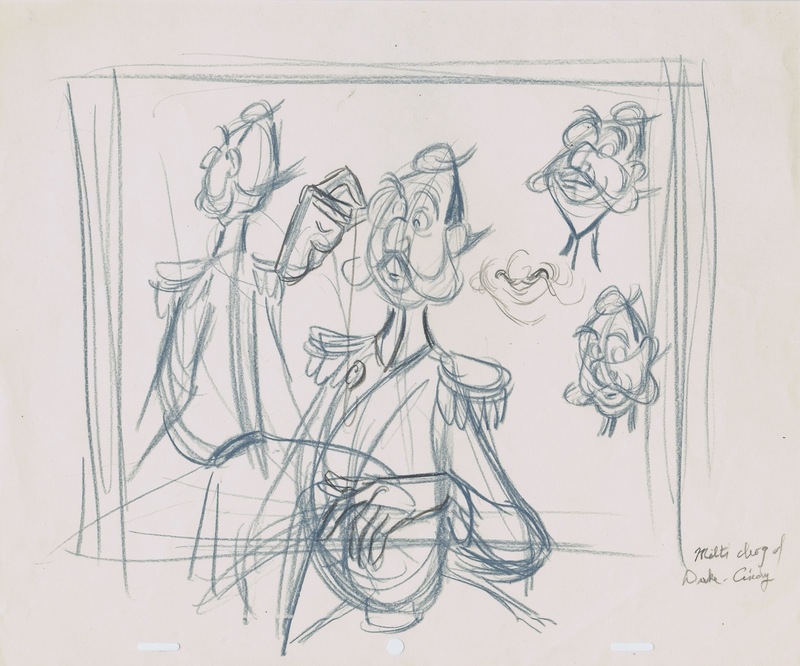 Milt was about 36 or 37 years old when Song of the South was in production. Studying his work here proves that he was already an expert draughtsman and a master animator. 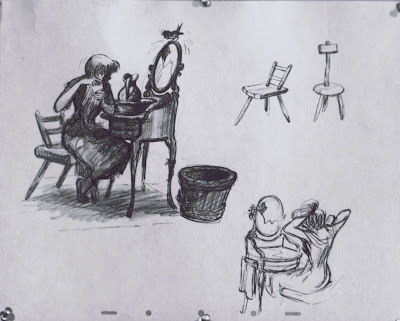 Dynamic staging, expressive acting and extraordinary drawing. 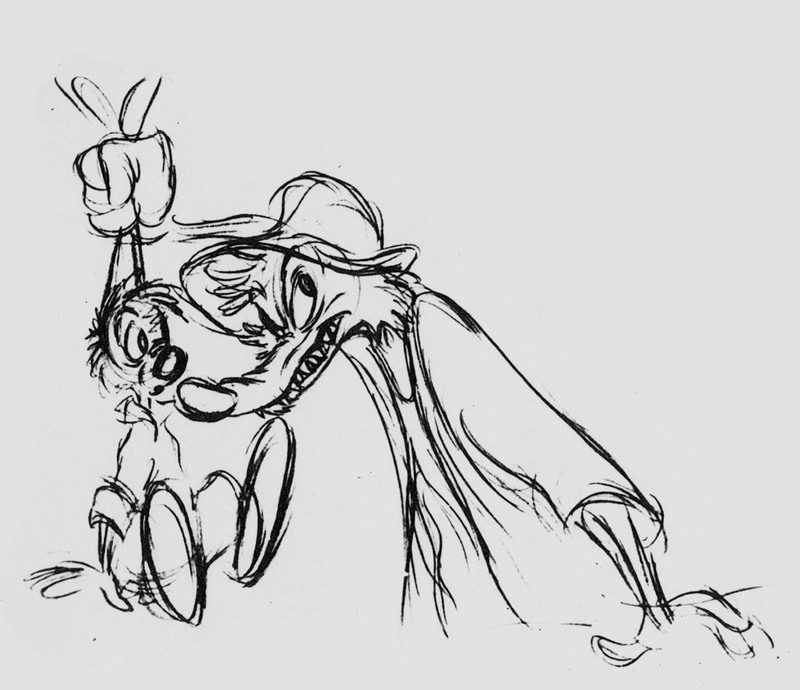 Look at the fox's threatening right hand in the first image. It is based on a human hand, but exaggerated for animation. I love the fact that you can feel the weight of the clothes' fabric. The fox's shirt is light, there are soft wrinkles on the under side of the sleeves, it convincingly hangs from his shoulders. The vest is a different material and feels heavier. While the rabbit is drawn with ultimate appeal, the fox's expressions are pushed to the limit. 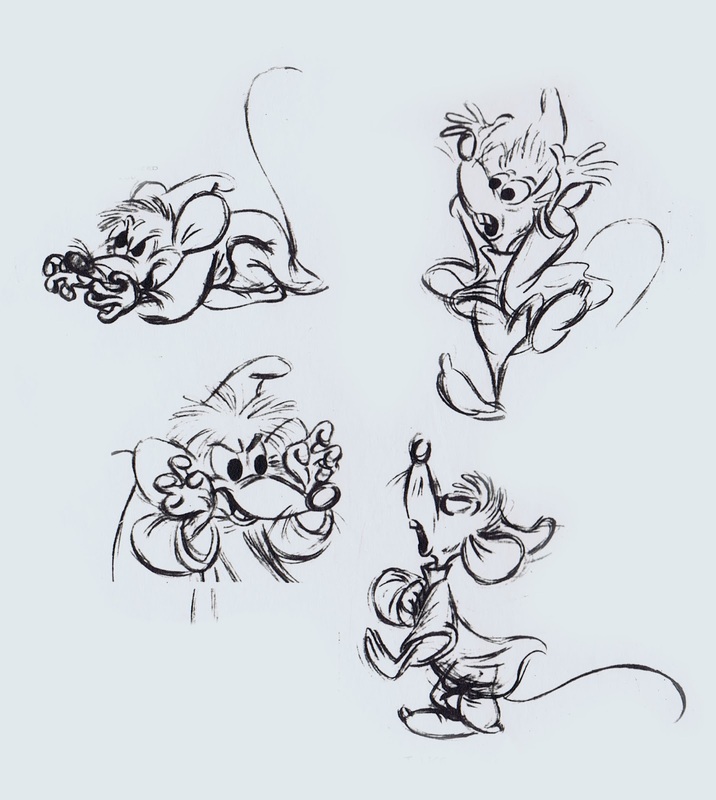 Milt and the other animators had a blast animating these characters.